When people ask about our company, they’re expecting a grand blockbuster involving late nights crunching numbers in our parents’ garage. A tale worthy of Hollywood fame. In 2013 we were fed up with just being the corporate tax guys or the number nerds. We wanted to be more. A lot more. So like any good Melbournian, we spent a lot of time in cafes dreaming of the future. We dreamt of a time where we would not only provide accounting services, but we’d be partners with our clients, helping them learn and grow their financial position or business to be greater than they ever imagined. We wanted to help them set big goals and achieve them. And so OneLedger was born. The accounting industry is continuously changing with a clear shift to cloud-based, real time advice. We’ve built OneLedger at the forefront of the latest technology, offering a start-up friendly, rapid expansion service where each client can pull their latest financial position straight away. Of course we will always offer traditional accounting and tax services but our point of difference lies in our extended support. We’re big fans of our clients, like KX Pilates (we love going to their classes) and Cupcake Central (yum!). We’re all in. We provide business management and coaching services to help our clients set their financial goals and hold them accountable throughout our journey together. For those who need extra support, we also offer full outsourcing of the accounting function to reduce overheads and streamline processes. Business startups are one of our specialist services. We assist our startup clients in choosing the right company structure and funding programs. With our focus in technology and our heavy involvement with startups, we ensure we keep up-to-date with the industry through our memberships with specialty groups such as Business Chicks and Startup Victoria. This year, we are a proud sponsor of StartUp Victoria, cementing our involvement in the entrepreneurial space. 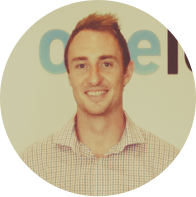 In just over two years, we have grown OneLedger to nine full-time staff (plus the expertise of freelancers and consultants to assist with other areas such as PR and marketing). Although we love working with startups, we wouldn't be where we are today without our individual clients. We love working with families all across the globe, helping them with their tax returns and financial needs. As our way of saying thanks and giving back, we have been supporting wonderful causes like the Global Women’s Project, Starlight Foundation, Kids Under Cover and RSPCA. Our triple digit growth year on year is a testament to our committed team and exceptional clients. To expand on our home base in Melbourne, we have established a physical presence in Perth and Vietnam, with offices soon to come in Sydney and San Francisco. We are proud of our own achievements, and we take great pride and pleasure in seeing our clients excel and grow beyond what they thought possible. In particular, one of our long standing clients has grown from a single stand-alone store to grow to have 50 stores across Australia in a relatively short period of time. Our mission is to help people achieve their goals and make better choices for themselves and their businesses. We know this is just the beginning. We can’t wait to see what the future has in store for us all. 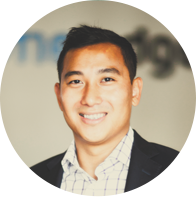 Andrew Hubbard and Hai Trang are the brains behind OneLedger. Having met during their time as accounting cadets, they each went their separate way for a few years working in various industries. Andrew and Hai later crossed paths and found they had a shared passion for making Accounting exciting, growing startups from the ground up and energising young people to take control of their financial position.